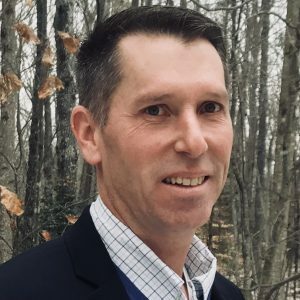 Steve Bowling joins Zekiah as President – Zekiah Technologies, Inc.
Zekiah Technologies is pleased to announce that Steve Bowling is the company’s new President. Brianna Bowling, the past President of Zekiah noted, “Steve’s extensive expertise managing high quality projects will serve Zekiah’s employees and clients well. I am excited to see Zekiah’s next chapter and the fresh insights and expertise he will bring to our company.” Brianna Bowling will continue with Zekiah on the Board of Directors and in a support and advisory role. Steve Bowling is a Navy veteran and brings 20 years of government contracting and management experience. Prior to his position with Zekiah Technologies, Steve Bowling served as a Program Manager with Vencore, Inc., responsible for the full business lifecycle ranging from identifying opportunities, recruiting, project planning and execution, quality assurance, financial tracking and strategic growth. Mr. Bowling managed training focused contracts in support of the United States Marine Corp, Army, Navy, Air Force and Coast Guard. Zekiah Technologies is a small business headquartered in La Plata, MD committed to exceeding the expectations of our customers through innovation and the ingenuity of our technical solutions in the fields of software development, systems, engineering, geospatial technologies, and training.